Using sensing data and analytics to extend car battery life illustrates future benefits of product development in the "Industrial Internet"
In what could propel electric vehicles (EVs) miles down the road toward commercial viability, GE researchers, in partnership with Ford Motor Company and the University of Michigan, will develop a smart, miniaturized sensing system that has the potential to significantly extend the life of car batteries over conventional battery systems used in electric vehicles today. "The car battery remains the greatest barrier and most promising opportunity to bringing EVs mainstream." said Aaron Knobloch, principal investigator and mechanical engineer at GE Global Research. "Improvements in the range, cost and life of the battery will all be needed for EVs to be competitive. With better sensors and new battery analytics, we think we can make substantial progress at increasing battery life. This, in turn, could help bring down its overall cost and the cost entitlement of buying an electric car." To improve the life and reduce the lifecycle cost of EV batteries, GE will combine a novel ultrathin battery sensor system with sophisticated modeling of cell behavior to control and optimize battery management systems. Today's sensors on EVs and plug-in hybrid vehicles (PHEVs) measure the health of the battery by looking at factors such as its temperature, voltage, and current. However, these measurements provide a limited understanding of a battery's operation and health. The goal of the ARPA-E project will be to develop small, cost effective sensors with new measurement capabilities. Due to their small size, these sensors will be placed in areas of the battery where existing sensor technologies cannot be currently located. The combination of small size and ability to measure new quantities will enable a much better understanding of battery performance and life. A group of scientists from the University of Michigan, led by Anna Stefanopoulou, a professor of mechanical engineering, will use the data generated by GE sensors to verify advanced battery models. They will ultimately create schemes that use instantaneous sensor data to predict future battery-cell and battery-pack behaviour. 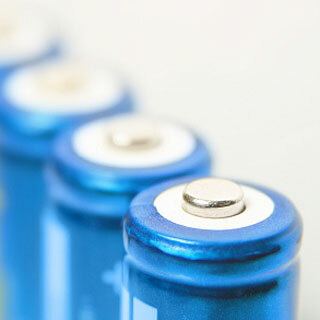 "Ensuring a battery's health over many cycles requires taking frequent snapshots of its condition as it ages. Control systems on cars have to be able to use this vast amount of data quickly and efficiently. Information provided by advanced sensors will allow us to create and verify finely resolved physical models to underpin battery management schemes," said Charles Monroe, a chemical engineering professor on the University of Michigan team. He added, "The big challenge is to make battery management programs adapt and work fast." Tony Philips, Senior Technical Leader, Vehicle Controls, Research and Engineering, Ford Motor Company, said. "This collaboration brings together a diverse set of experts on sensor technology, controls and modeling, and automotive engineering to innovate on some of the most critical elements of battery technology. Ultimately, through this collaboration we anticipate being able to deliver more cost effective and durable battery system solutions to our customers." The goal of this 3-year / $3.1 million program is to demonstrate a working sensing system in an actual electric vehicle. The creation of this smart sensing platform illustrates the great potential of product development in the age of the Industrial Internet. Every piece of industrial equipment, including batteries, generates volumes of data about its condition and operation. With the power of analytics, this data can be used to create more intelligent devices and systems that lead to improved performance for the customer. In November 2011, GE announced an aggressive expansion of its software programs to harness big data and take industrial product development to the next level. The company has opened a global software headquarters in San Ramon, California, which will employ 400 new software professionals to support these efforts across GE's business portfolio.